On Tuesday, California voters elected Gavin Newsom — a long-time advocate and supporter of Early Learning— as the next California Governor. Among Newsom’s highest priorities is ensuring that every child in California receives the support and services they need. His “cradle-to-career” platform includes investing in the state’s Early Learning system to launch Universal Pre-K and other high-quality programs for kids in the critical stages of their brain development. 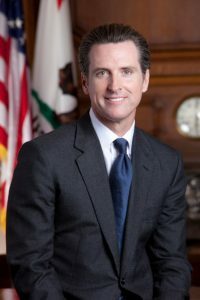 As he prepares to take office, Early Edge California and many other Early Learning advocates are embracing the opportunity to work with Governor Newsom to ensure that California’s youngest residents get the health and educational services they need and deserve that sets them on a path to prosperity and success. More to come! We will keep you updated and let you know how you can help as we partner with the new administration to raise up California’s youngest and most disadvantaged kids.